NEW TURBOS, NEW PRICING!!! 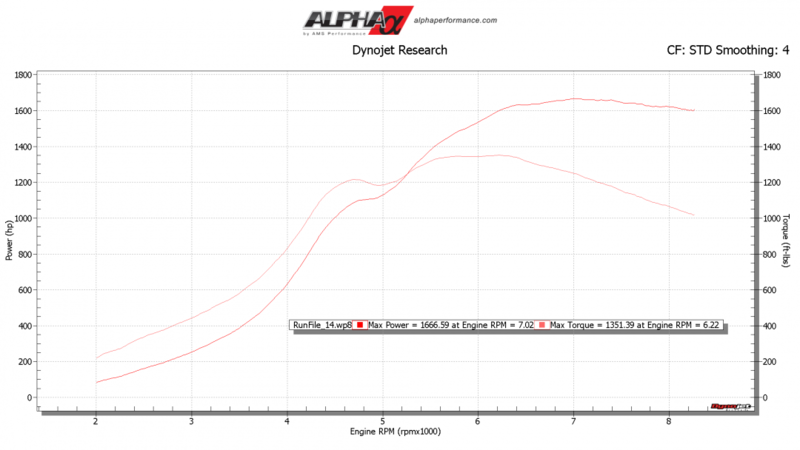 The Alpha 10X kit comes STANDARD with NEW Garrett Gen II GTX 58mm based turbos making 50 to 100 more horsepower than our original 10x kits, 3.5″ Downpipes, 4″ Carbon Fiber Intakes, Billet Compressor Wheels, and 4″ Turbo inlets produce up to 1275 WHP. The competition can’t compete on design or on the track. All of the things that are standard on our 10X kit costs you thousands extra with the competition. And, unlike the competition, our kits require NO MODIFICATION of your cars unibody. 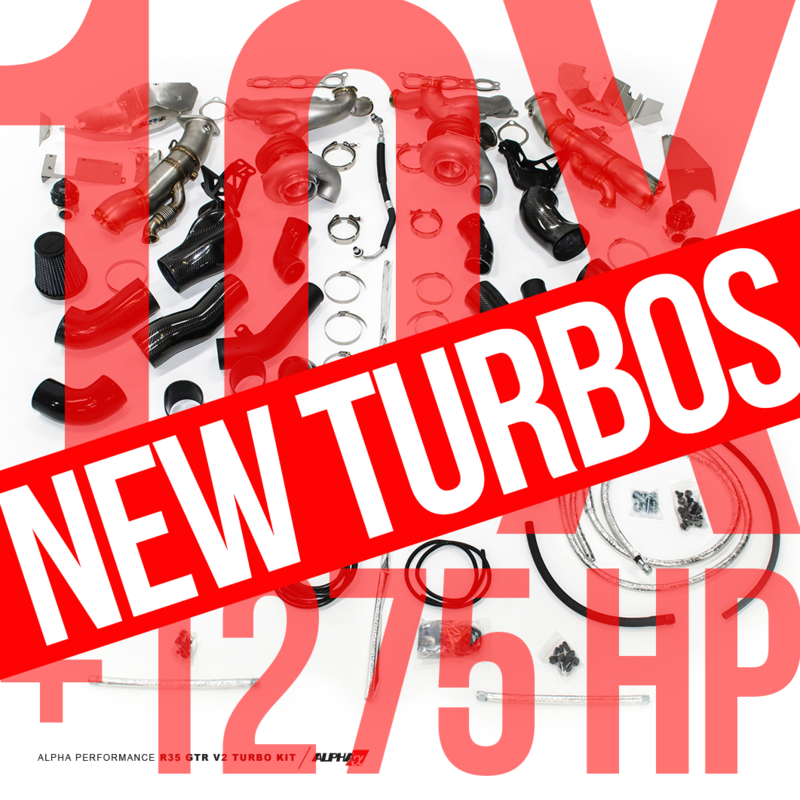 The 10X Turbo Kit spools faster and makes more power and all with an OEM level of fitment that saves you installation time and money! 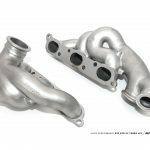 Max Effort Produces 1650whp with the addition of a, 4.3L engine, CNC heads, intake manifold, 3.5″ downpipes, external dump, and Methanol race fuel. 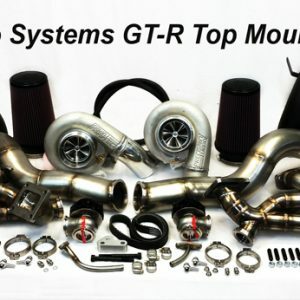 Introducing the New Alpha 10X R35 GTR Turbo Kit! 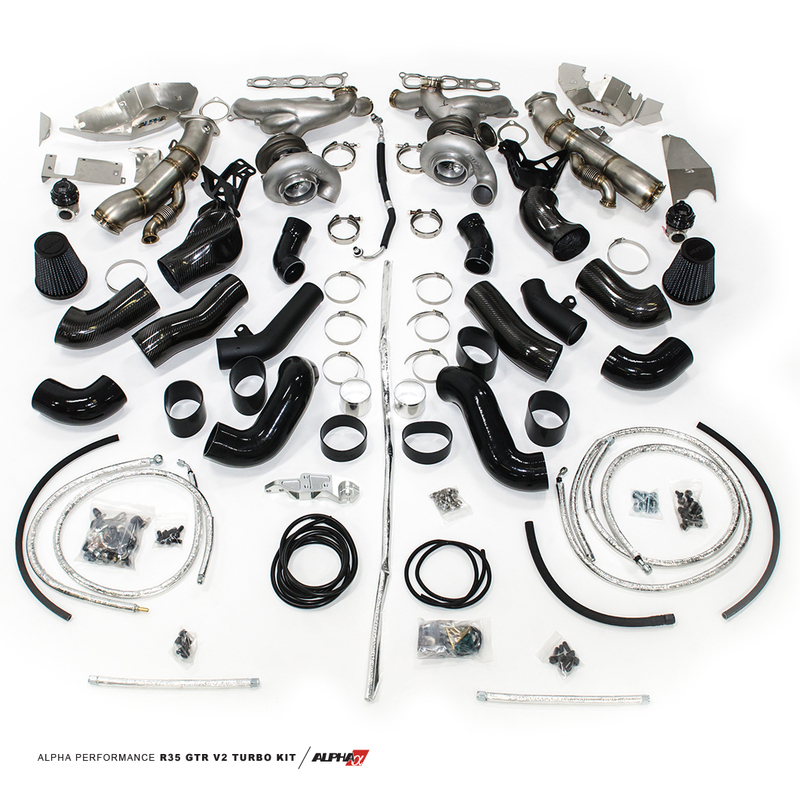 The Alpha 10X kit comes STANDARD with NEW Garrett Gen II GTX 58mm based turbos making 50 to 100 more horsepower than our original 10x kits, 3.5″ Downpipes, 4″ Carbon Fiber Intakes, and 4″ Turbo inlets which produce over 1275 WHP. The competition can’t compete with Alpha on price or on the track. All of the things that are standard on our 10X kit costs you thousands extra with the competition. 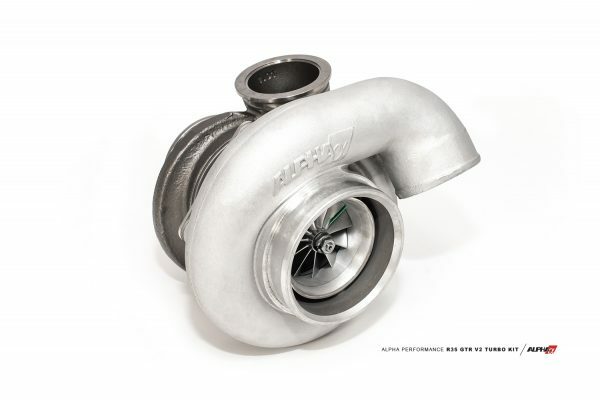 Are you ready for an over 1275 WHP street car that spools faster using the newest Gen II Garrett Turbos? 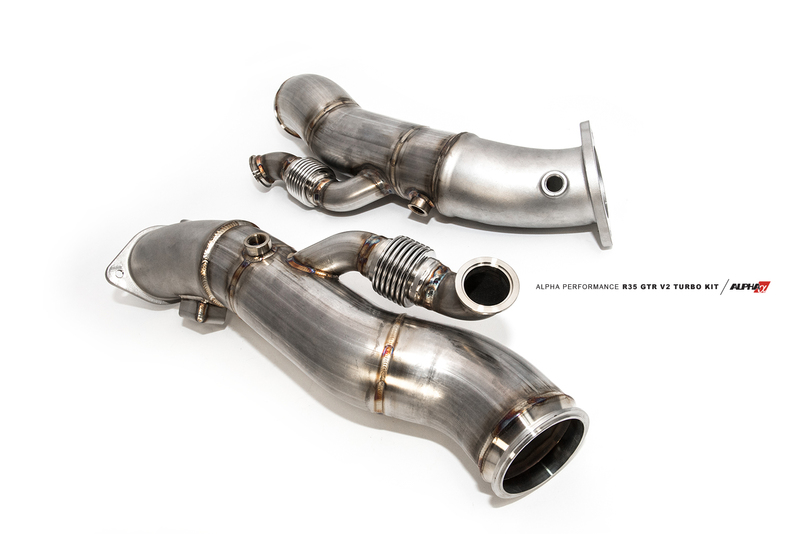 Introducing the ALPHA 10X Turbo Kit upgrade for the R35 Nissan GTR. 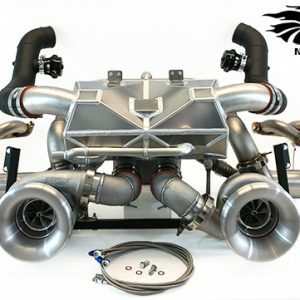 Knowing what we now know about the goals and aspirations of our GTR customers we set our engineers loose on a line of turbo kits that would redefine GTR aftermarket performance. Every part of the new Alpha 10X kit is now improved. 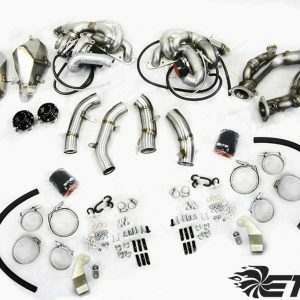 From the exhaust header, to the intake, to the Gen II turbos, to the downpipes, the kit was designed to spool faster, pull more air in, and get more air out making much more horsepower than the previous generation. The new 10X kits feature 2.0 inch external diameter runners which yield a 1.7 inch internal diameter for our new turbo kits. They are not just larger but designed in a way to feed the exhaust gasses as efficiently as possible to the new “X” branded kit turbos. 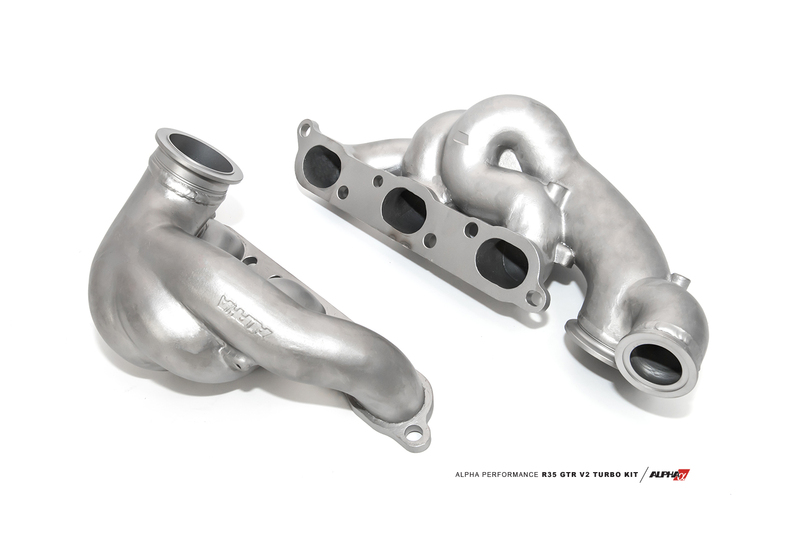 To improve the exhaust flow even further each of the manifold’s interior is Extrude Honed to a smooth mirror like finish. To further improve power output we designed new custom cast 4 inch ALPHA branded compressor covers. The new cover increases the compressor inlet size from 3 inch to a full 4 inch cover. 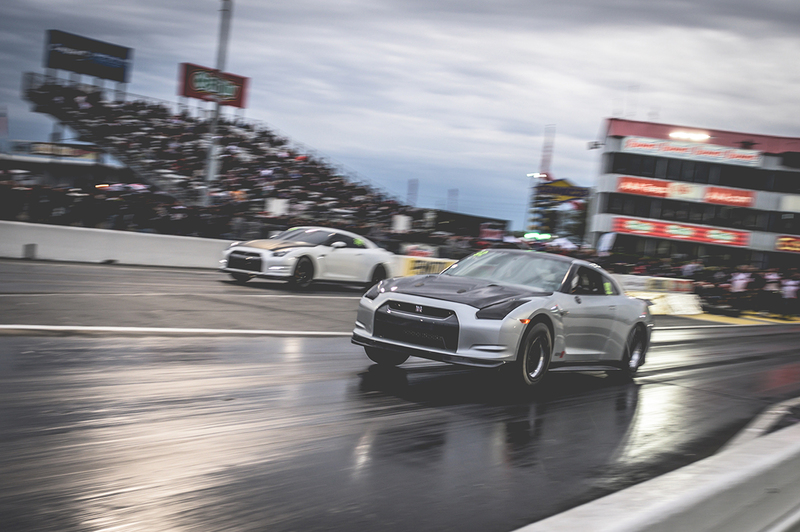 The compressor discharge is also not only larger at 2.5 inches vs 2 inches but the routing of that discharge was maximized with a super smooth radius to allow the best possible flow given the space constraints of the GT-R. This is then fed into our high velocity cast 2.5 inch to 3 inch lower intercooler pipe. 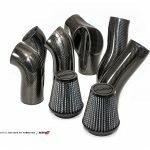 This new pipe offers you a drastic improvement in airflow vs its predecessor and transitions with the highest efficiency into 3 intercooler piping. The X Turbo Kits now feature Garrett© Generation II Turbos. 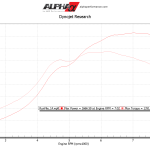 These new Garrett© Gen II GTX 58mm based turbos have shown a 100 whp increase on the new 10X vs the original kit. The new 10x kit is 950-1275 whp capable! 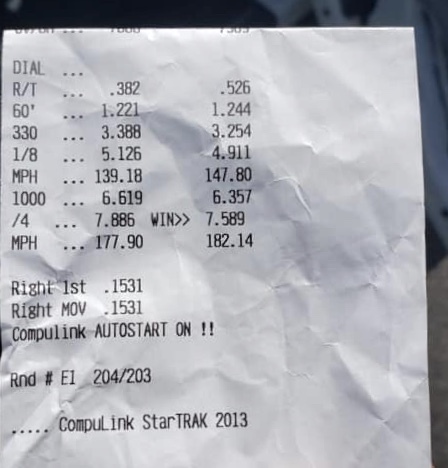 All this is accomplished without sacrificing anything in terms of spool up time or power delivery. The future is now! The new Alpha 10X, 12X, and 16X turbochargers do not just make more power but do so with no loss in spool time. By implementing proven Garrett GTX based billet ball bearing turbos we have successfully delivered you more horsepower throughout the entire powerband! These turbos also are able to sustain higher boost levels. That large 4 inch turbo inlet needed some more air to feed it. Anyone that has worked on a GT-R knows how tight it is trying to get 4 inch piping to a 4 inch compressor cover on a GT-R. Thankfully here at AMS we have the best resources available. By thoroughly laser scanning the confinements of the engine bay and designing the intakes in Solidworks© CAD (computer aided design) software, our Engineers were able to develop an organically shaped carbon fiber intake pipe to utilize all of the space available. 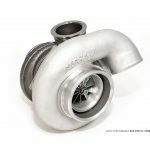 While unconventional in its shape it has an actual 4 cross sectional area throughout the entire pipe to deliver all the necessary air to the ALPHA 10X turbo kits. 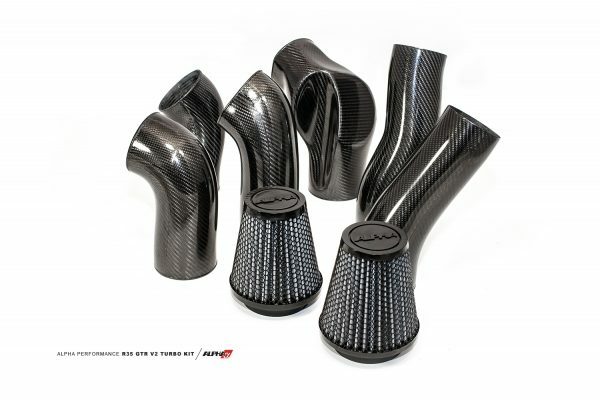 The Carbon Fiber material itself needed to perform just as well. Typical clear coated carbon fiber used in this industry would discolor (turn yellow) and deteriorate over time if used in this application. 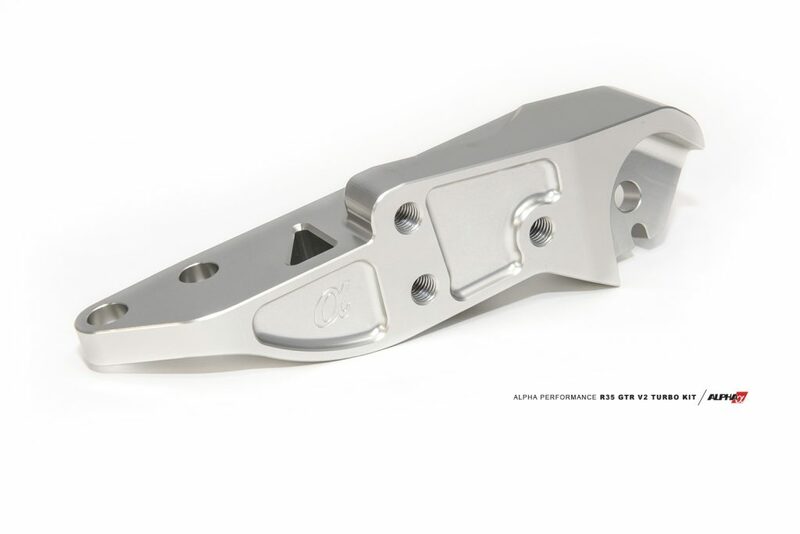 To get around this we sought out a high temperature polished alternative found in hard-core motorsports applications. This Hi-Temp, PrePreg material features 3-layers of 1mm Twill Weave which will sustain a 240C temperature threshold while maintaining structural integrity and maintaining aesthetic appearance without discoloration. 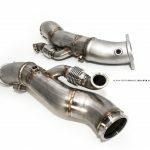 As another improvement we have added 3.5 inch (90mm) Stainless Steel downpipe set that will perfectly match your exhaust system. We’ve designed an 8” cast section from 3.5” to the midpipe flange to provide a smooth transition for exhaust gasses to travel to eliminate excessive back pressure. We developed the new ALPHA 10X Turbo Systems to directly bolt in without hacking up your prized possession! 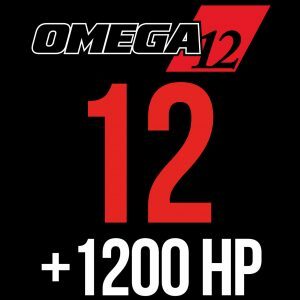 Typically when you reach 1200+ HP levels drastic measures must be taken such as on our competitors kits where they start pounding your frame rails, losing air conditioning etc. 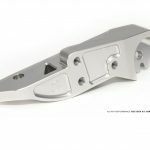 If you have to cut the frame rails on any kit below 2000+ HP levels in the stock location then its time to bring your car to AMS Performance.